Seeker sightings yesterday at Wal-Mart. Was inordinately excited ;). Mary Connealy’s Sharpshooter in Petticoats. It’s why I went to the store =D. 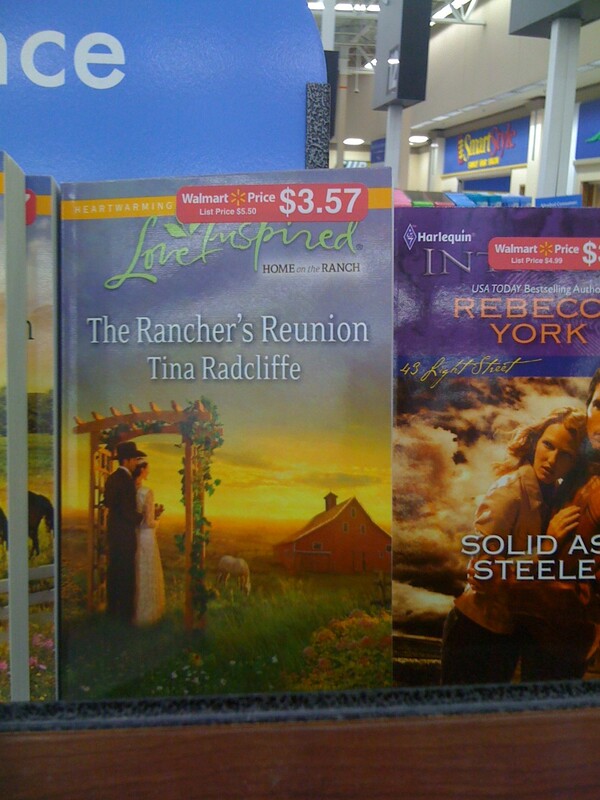 I came across Tina Radcliffe’s The Rancher’s Reunion so I had to pick it up too ;). But now I have work to do before Andrea kicks my tush =D. Way to ignore the knowledgable people working the WalMart Phone system, Carol. 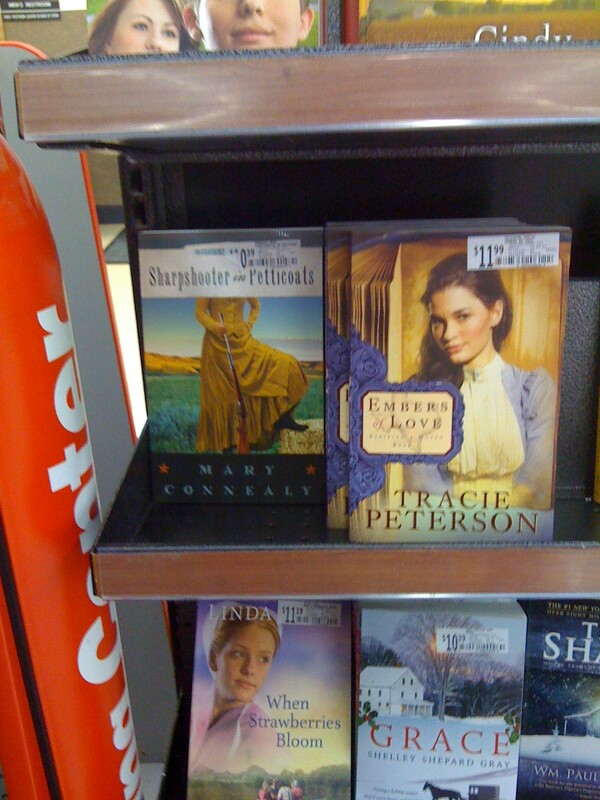 I was in a walmart just the other day and found Sharpshooter in Petticoats AND Wrangler in Petticoats, what’s that about? Why would they want TWO of your books out there at once? What ARE they thinking? I knew my sister had bought it at this Walmart a few days earlier and she, of the insanely fast readerness, hadn’t finished it yet :p. So I had to go get it to take with me to my doc appointment. Did I mention I love Mandy and Tom?